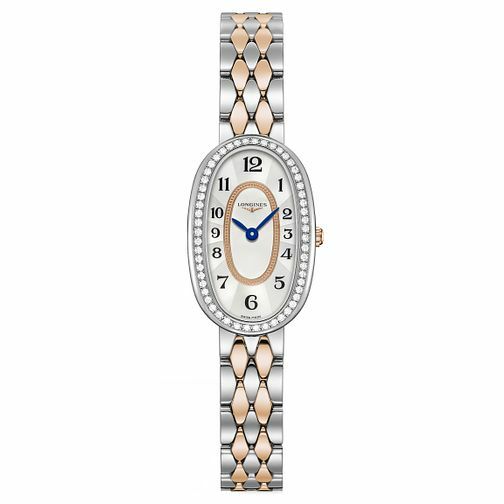 Radiating classic elegance, this sleek ladies' stainless steel and 18ct rose gold diamond fine link bracelet watch by Longines is from the alluring Symphonette collection. Styled with a two toned mother-of-pearl oval dial adorned with Arabic numerals and an impressive bezel decorated with diamonds. Water resistant to 30m, this watch is powered by a Swiss quartz movement. A timepiece to make every occasion extra special.